This beautiful ground level waterfront home gives you the best that island living has to offer. Situated in tranquil Holmes Beach on Anna Maria Island, your vacation paradise awaits. Come enjoy relaxing old Florida at its best. With a total renovation completed in 2011, this property has all the comforts of home such as a solar heated saltwater pool, open floor plan with large lanai and porch perfect for entertaining. Use the brand new dock and boat lift for your boat or for fishing in the canal. Ride on the beach cruiser bikes or go paddling on the sea kayaks. Enjoy the beautiful gulf beaches or relax on the hammock in the shade...this house has it all! * Museums, aquariums and baseball are just a few activities in the area. * Golf cart and bike rentals are a fun way to get around the island! Master bedroom has spa-like feel with stone shower and separate toilet area. Second bathroom is accessible from living area and 2nd bedroom and features a shower/tub combination. Third bathroom doubles as a pool bath for easy access from the outdoor entertaining area. Short walk to the beautiful beaches of Anna Maria Island! Enjoy fishing off of the dock and parking your boat on the new boat lift! It is a grat house in Anna Maria Island, with a lot of sapce for 5 people. The swiming pool is nice, the only thing during winter is that it is heated with a sun system so it was cold. the best part of the house is the deck by the dock!!! Thank you so much, Silvina! It was our pleasure having you. We hope to see you again! This house was perfect with a great location on the canal and quick walk to the beach. The kids had a blast in the pool and fishing off the dock in the backyard. The owners were super helpful and responsive helping guide us to activities and restaurants. Thank you for making this a great family vacation! Thanks so much, Mike! We love that you made great memories in AMI! Lovely home on the canal with a pool and easy walk to the beach. Lovely home! . The living area was bright and spacious looking out over the canal and pool. We enjoyed going to the beach in the morning and returning for an afternoon dip in the pool. The beach wagon was a great way to cart beach essentials back and forth to the beach. The umbrella provided shade to get out of the hot July sun. One item that would be a great addition to the beach supplies is a cooler to bring water /food to the beach. We were pleasantly surprised that there was a pack and play in the closet which was put to good use for our 4 month old grand daughter who lives in Bradenton with mom and dad of course. Overall, we loved your home. Thank you very much, Susan! I'm so sorry about the cooler. We thought there was still a cooler there available for use. We will be sure we replace that asap. We would love for you to enjoy our home again if your travels bring you to AMI! 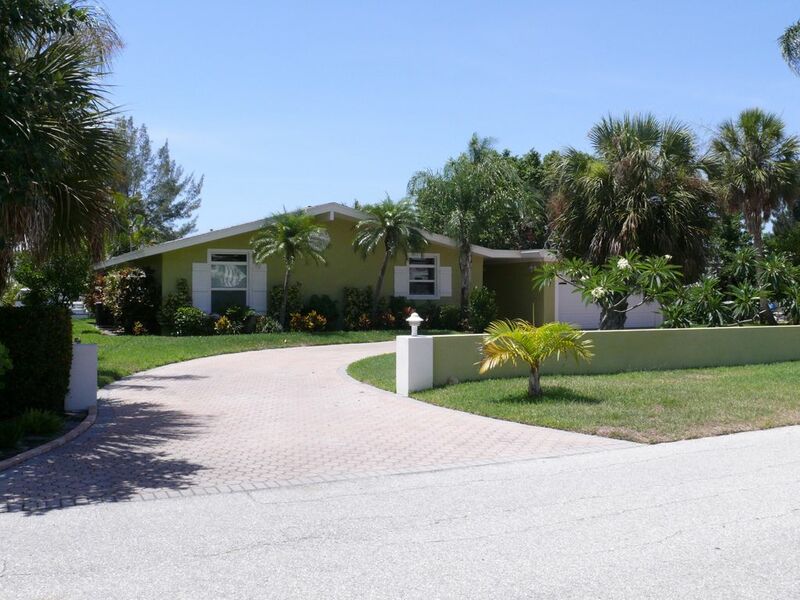 This is a wonderful house in the perfect location on Anna Maria Island. This was our first trip here and the house was awesome. We had everything we needed inside and out. The pool was perfect after hanging on the beach all day. There is a shower on the dock to rinse off the sand before heading into the pool. Very comfortable beds for everyone who stayed. The beach is 3 blocks away but we found that if we drove 10 minutes south, we arrived at Coquina Beach (right after Cortez Beach). It was a beautiful beach with showers, bathrooms, and concessions. Don't forget to see the sunset every night. There is no way to describe that beauty. The homeowners were so nice and easy to deal with. They answered all my questions fast and wanted to ensure we had the perfect vacation. We were sad when our week was up. There are also so many great restaurants and bars here...no chain restaurants. We ate at the Freckled Fin, The Waterside Restaurant, and Harry's Grill. Every meal was great. Check out the Donut Experience for made to order donuts that were fantastic. When you book your vacation here, you won't regret it. The only negative I can say was there were only 2 beach chairs and 6 of us but there are places you can rent or buy some. Despite that, it was awesome and we hope to come back again. Will definitely re-book this house!! Thanks for helping us make great memories!!! It was such a pleasure having you stay in our home! We are thrilled that you enjoyed your time on the Island and made wonderful memories with your family. Enjoy the rest of your summer. We would love to see you again next year! When one is preparing for a vacation, he usually spends a considerable amount of time and effort to research the perfect place to go and to stay. Please look no further than this rental. The large, floor-to-ceiling windows made the open floor plan magical, and yet the living area still felt cozy. The screened-in pool and patio were the perfect places to relax and enjoy a good meal with the gentle breaze from bay. This rental is located in a great area, close restaurants and downtown shops alike. And the kids loved riding the golf cart the short distance to the beach. The rental could not have been better. We all had a wonderful time at this home on Anna Maria Island. We loved sharing our home with your family! We are thrilled you enjoyed yourselves and hope that you choose our home for your next visit to AMI!! Great location! Very clean with lots of amenities. We enjoyed the pool, kayaks and close proximity to the beautiful beach. We are so glad that you and your family enjoyed your stay! We hope to see you again next year! This beautiful ground level waterfront home gives you the best that island living has to offer. Situated in tranquil Holmes Beach on Anna Maria Island, your vacation paradise awaits. Come enjoy relaxing old Florida at its best. This property has all the comforts of home. Enjoy the beautiful gulf beaches or relax on the hammock in the shade...this house has it all! Additional 20% for holidays (Christmas, Easter, Memorial Day, 4th of July, Labor Day, Thanksgiving) $500 security deposit due when rental agreement is signed. 50% of the total price is due when booked. Remaining 50% of balance is due 30 days before arrival.